The League of Arab States, commonly called Arab League is a regional organization that consists of independent Arab States in and around North Africa and Southwest Asia. Six Arab States – Egypt, Iraq, Jordan, Lebanon, Syria and Saudi Arabia – had initiated the League’s formation by signing the Charter of Arab League on 22 March 1945. The League main purposes according to the Charter of statute are “strengthening of the relations between the member-states, the coordination of their policies in order to achieve co-operation between them and to safeguard their independence and sovereignty; and a general concern with the affairs and interests of the Arab countries.” These affairs and interests include important economic issues such as finance, commerce, business, currency, questions of agriculture and industry. They also include social, cultural and health affairs, communication, transport, the question of nationality, visas and passports. Since the signing of the Charter, 16 more States joined the organization, but with Syria suspended in 2011, the Arab League counts now 21 voting members. The Charter of Arab League (1945) in art. III establishes the Council of the Arab League which is composed of the representatives of the Member-States of the League. 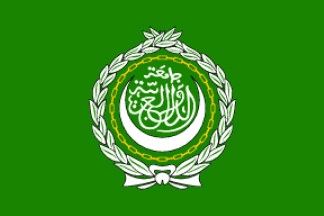 The Council has become the supreme organ of the Arab League, some of its main tasks, underlined in the same, article of the founding treaty of the Arab League, are to achieve the realisation of the objectives of the League and deciding upon the means by which the League has to co-operate with international bodies in order to guarantee the security, peace, regulate economic and social relations. The Council holds ordinary sessions twice a year, but at the request of two member States, extraordinary sessions can also be held whenever circumstances demand. The meetings of the Council, as stated in the Internal Regulations of the Council (1951) are secret, except those cases when the Council decides by a majority of votes to make them public. Each Member State has one vote in the League Council, while the decisions, taken by a majority voting in the Council, are binding only for those states that have voted for them. The Secretariat General is the institution of the Arab League responsible for implementing decisions taken by the Council of the League. It is a permanent institution consisting of the Secretary-General, Assistant Secretaries and a number of officials. The Council of the League can appoint the Secretary General and this, in his turn, appoint the Assistant Secretaries and the principals officials of the League. The Secretary General has the rank of a Ambassador, representing the Arab League at the international level, while the Assistant Secretaries have the role of Ministers Plenipotentiary. The first Secretary-General of the Arab League was Dr. Abd El Rahman Azzam from Egypt serving the post from 1945 to 1952. The present Secretary-General is Dr. Nabil El Araby (Egypt). He is the 7th head of the League Secretariat General from its establishment, and was unanimously elected in 2011. The Secretary-General has a key role as he prepares the draft of the budget of the League, submits it to the Council for approval and then takes the appropriate measures for managing this budget. The Secretary-General also fixes the precise date of each of the ordinary sessions of the Council or convenes the meetings of the permanent Committees, prepares the draft agenda of the Council and communicates it to the Member States, attends the meetings of the Council and makes reports and declarations on the subjects discussed within these meetings. The Joint Defence Council under the supervision of the Arab League Council has actually the role to deal with all the matters concerning the implementations of this article among others. The Economic and Social Council was set up to replace the Economic Council which had been created at the provisions of the Treaty in June 1950. Its aim is to establish the objectives of, and to promote the means for the economic and social development of the Arab world. It also coordinates the activities of the specialized agencies set up in the framework of the Arab League. Among the most important of these are the Arab Fund for Economic and Social Development, the Arab Monetary Fund, the Arab Organization for Agricultural Development, the Arab Labour Council, and the Council for Arab Unity. In order to give concrete implementation of the common objectives of the Arab League listed in the art. 2 of the foundation Charter, the art. 4 established the creation of the special committees of the Arab League, which fell up in three categories: one category is set up by the main institutions of the League to assist the sessions so the lifetime of these Committees is linked to the timing of that specific Session, the “ad hoc” Committees are responsible for carrying out specific tasks and they are dissolved when their mandate has been carried out. The Permanent Committees play a crucial role within the League, they act in a specific sphere of competence with a variety of functions. There are Permanent Committees for political matters, social questions, health, culture, economic matters, information, oil, finance and administration. The Arab Human Rights Committee was established after the entering into force of the Arab Charter on Human Rights in 2008 (having the necessary seventh ratification) to supervise its implementation, as mentioned in the art. 45 of the Charter.